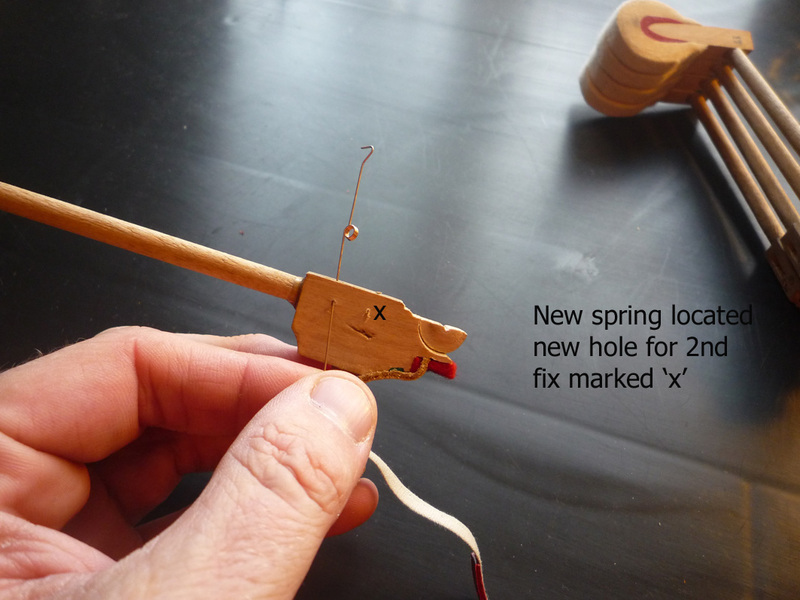 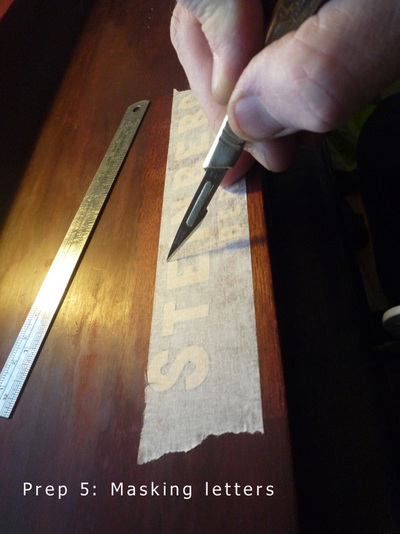 Welcome to our restoration blog. Click on any of the images to enlarge (occasional image/ gallery photos). 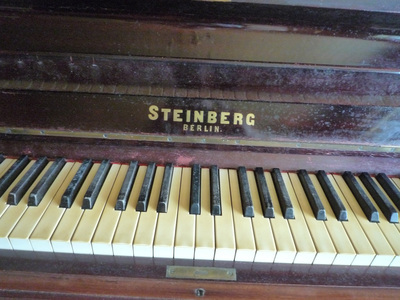 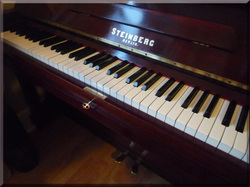 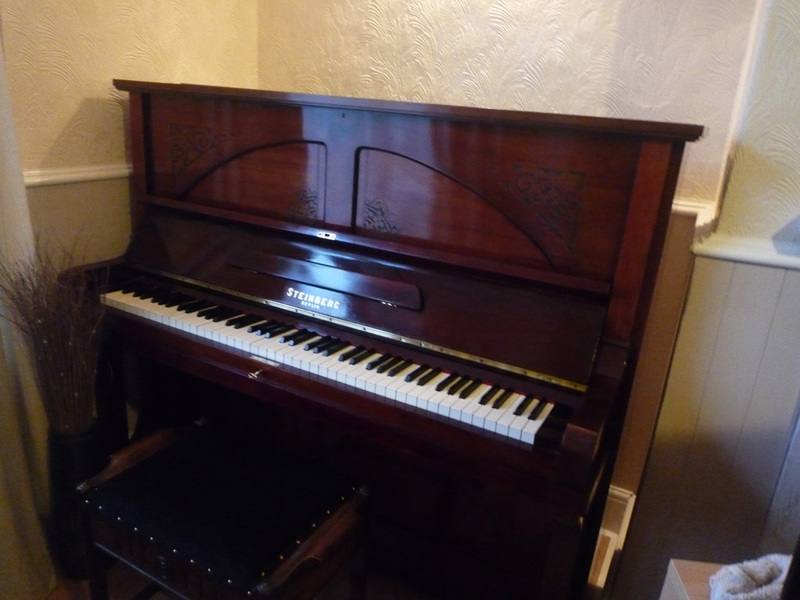 The piano and stool was rescued from a home in Bradford. 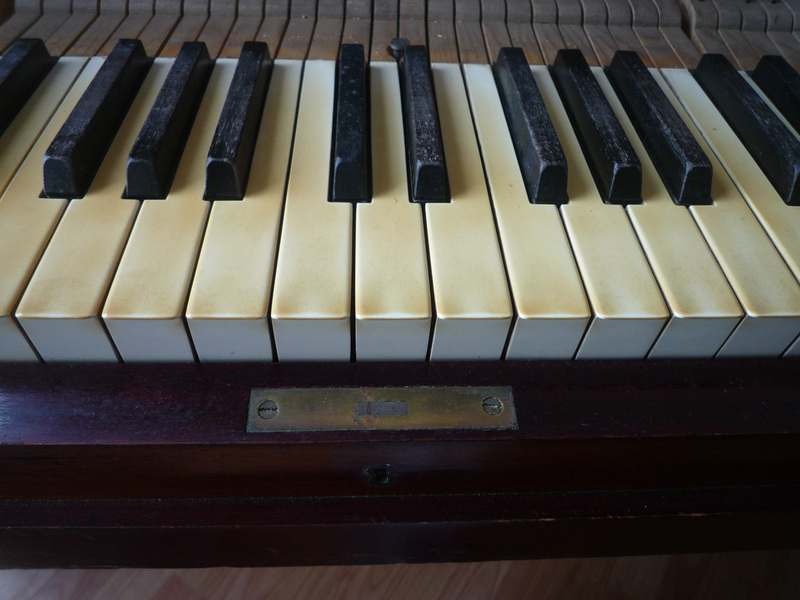 After a full inspection, although a bit rough around the edges, some damp issues, the piano was carefully restored back to its original condition with patina. 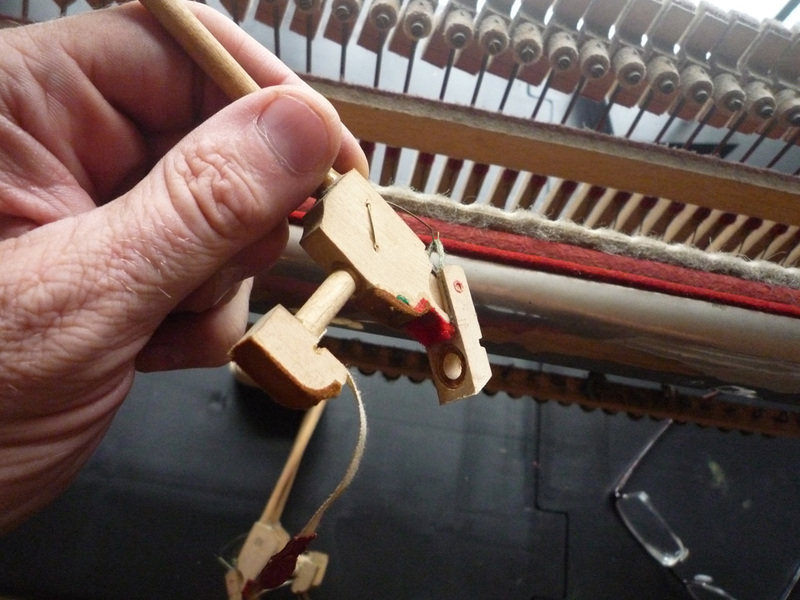 The internal mechanism and keyboard was completely overhauled. 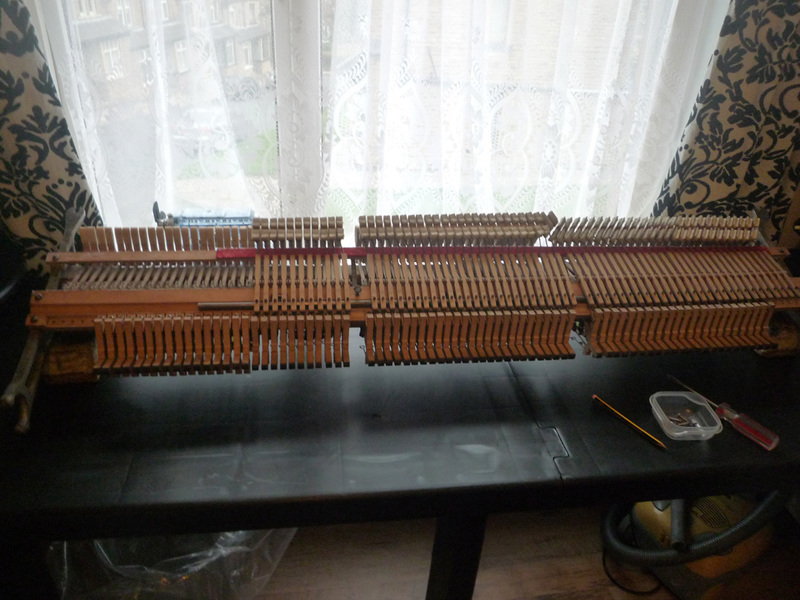 The wrest plank, tuning pins and strings/ soundboard and bridges are in good original condition, and no damage or cracks. 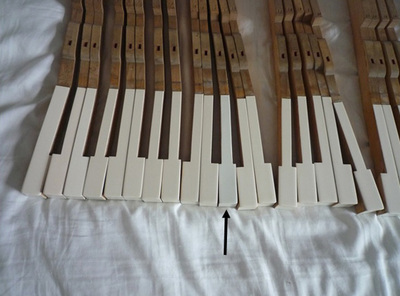 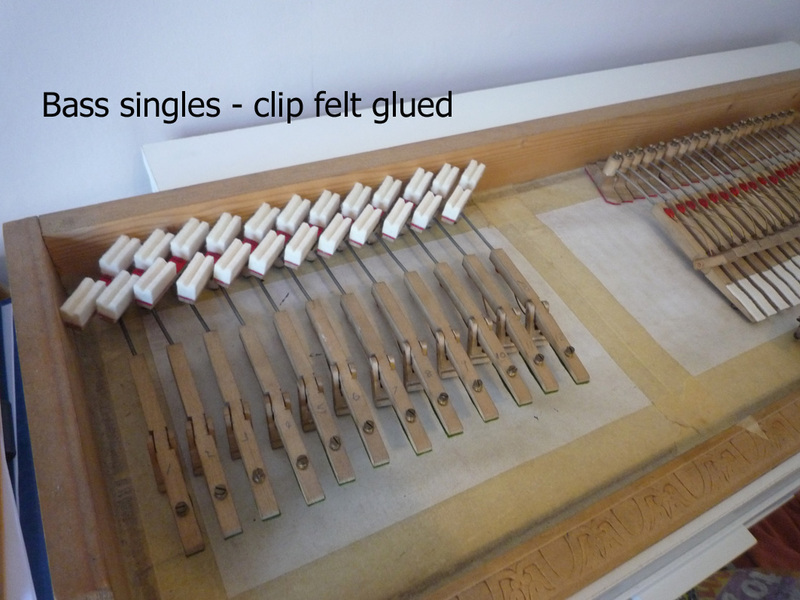 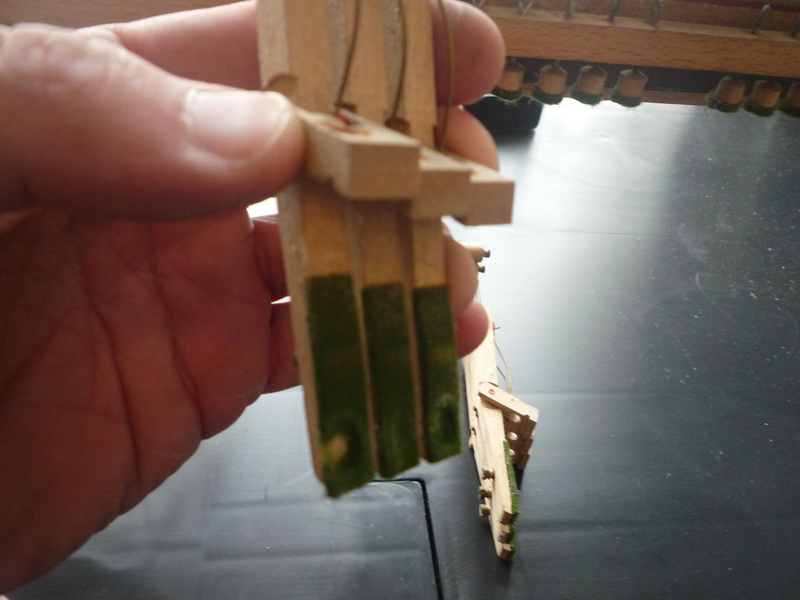 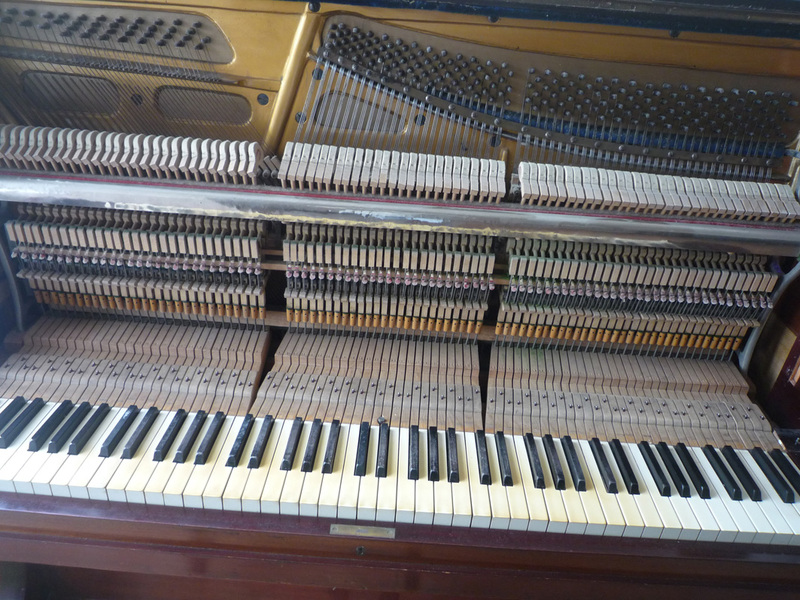 The piano has a full iron frame, strings are over-strung with an under-damped mechanism - showing all signs of a successful restoration, and ticks all the boxes in terms of design. 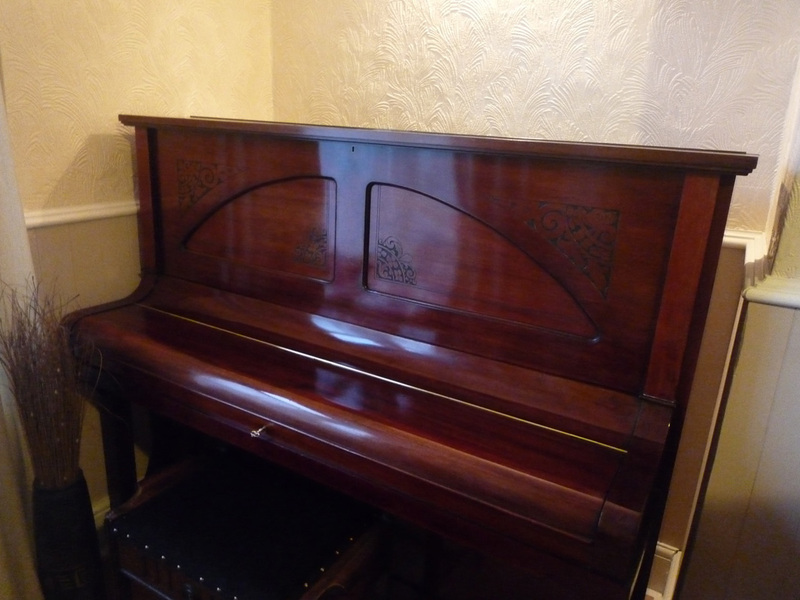 Dated approximately 1913, the front facia panel (see top right hand corner) and legs reveal beautiful carvings from the Art Nouveau period. 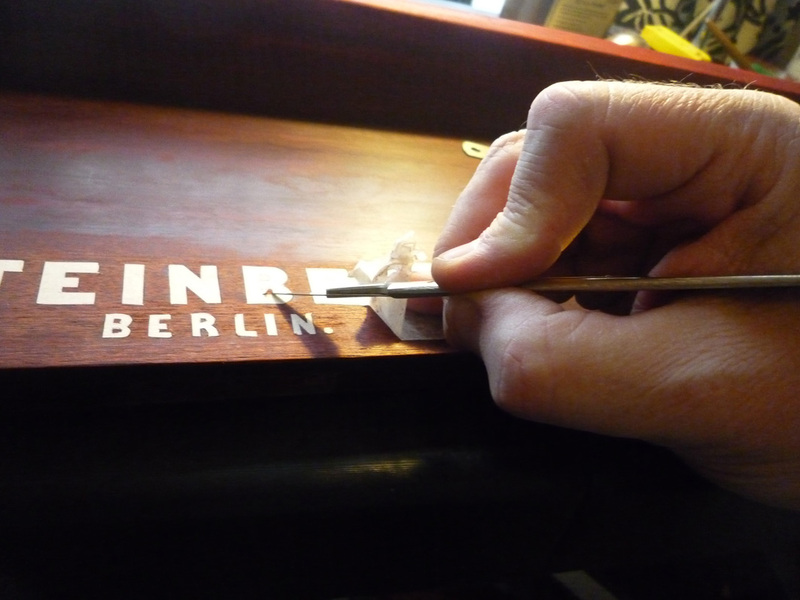 This style was influenced by the Arts & Crafts period and preceded Art Deco . 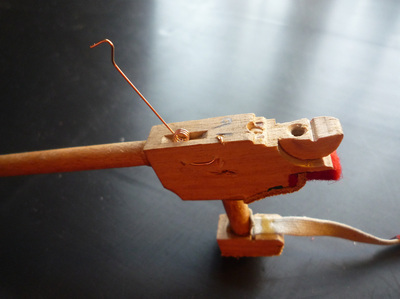 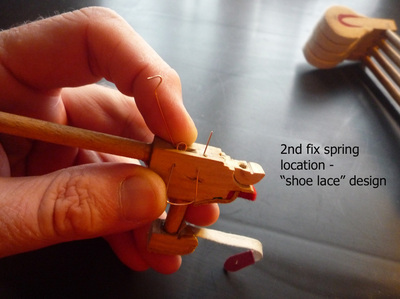 MECHANISM: The first job was to restore the internal moving parts - the 'mechanism'. This consists of around 3,000 parts: 85 hammers/ 85 undercarriages & jacks / 64 dampers. 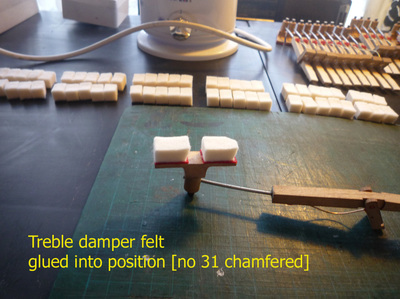 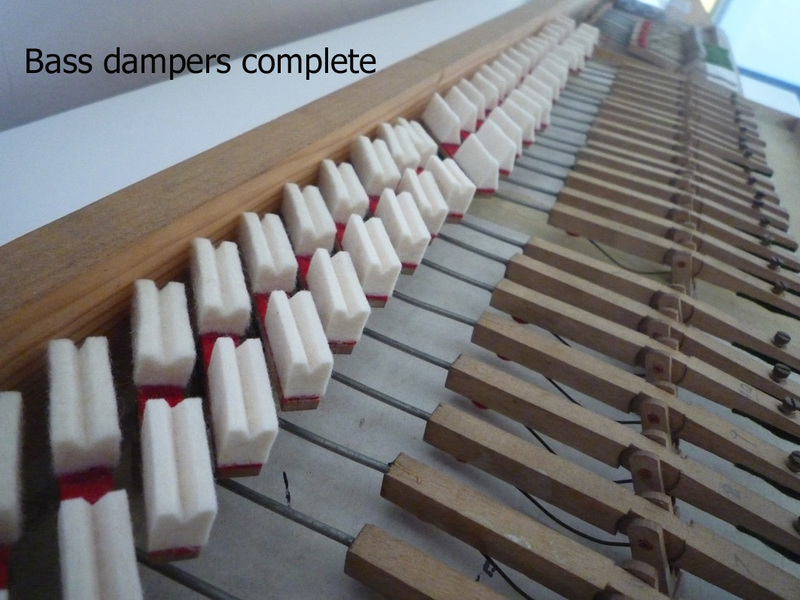 DAMPERS: The original dampers still worked to a degree - the odd note 'ringing on' - but due to being worn out and thick with dust/ springs weak / felts misaligned and deeply grooved.... the whole damper system has been fully restored. 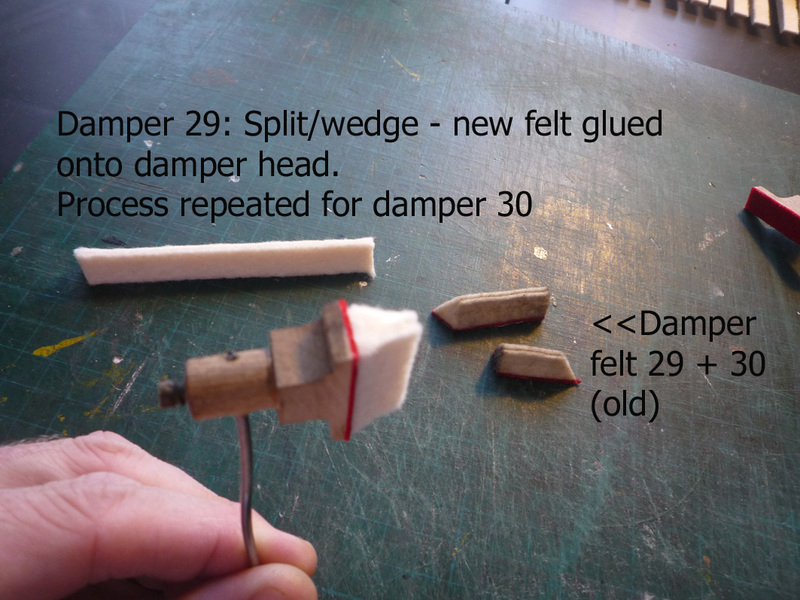 Parts of the damper bodies / spoon cloths were excessively worn down to the wood (3rd image).... not any more! 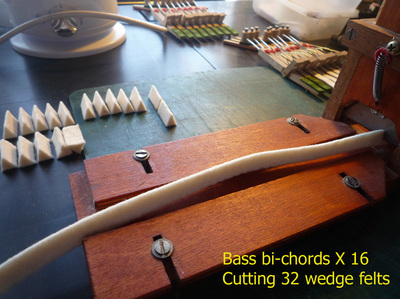 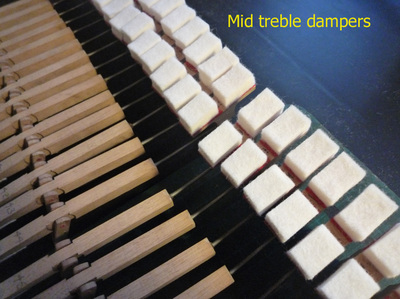 # Pitch raise (pre-tuning) and 2 X fine tuning to Concert Pitch - C523.3 Hz. 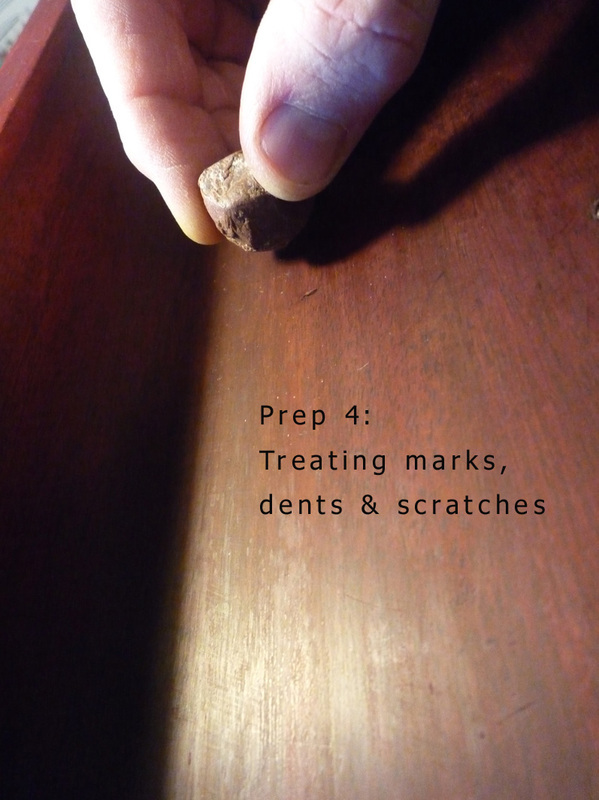 Two small vertical scratches to rear of fallboard section - blended with polish. 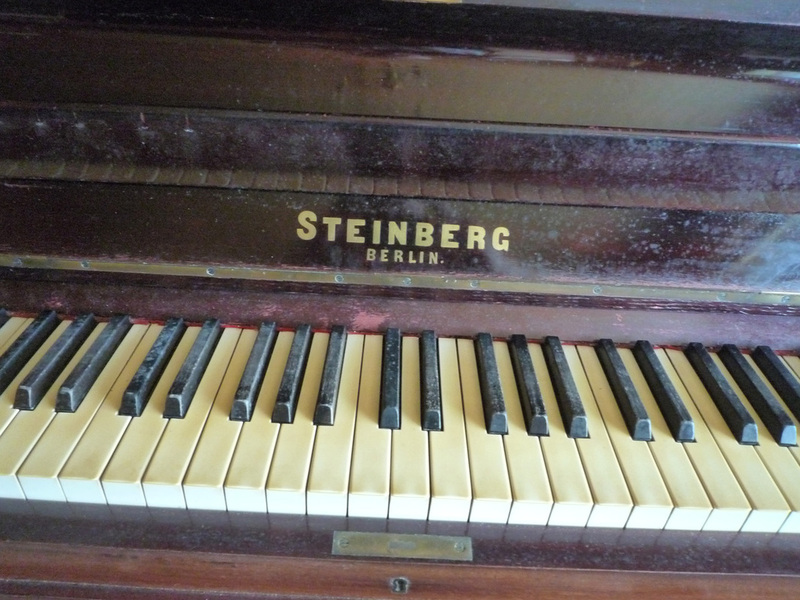 Few small scratches on top lid & sides/ rear of fallboard. 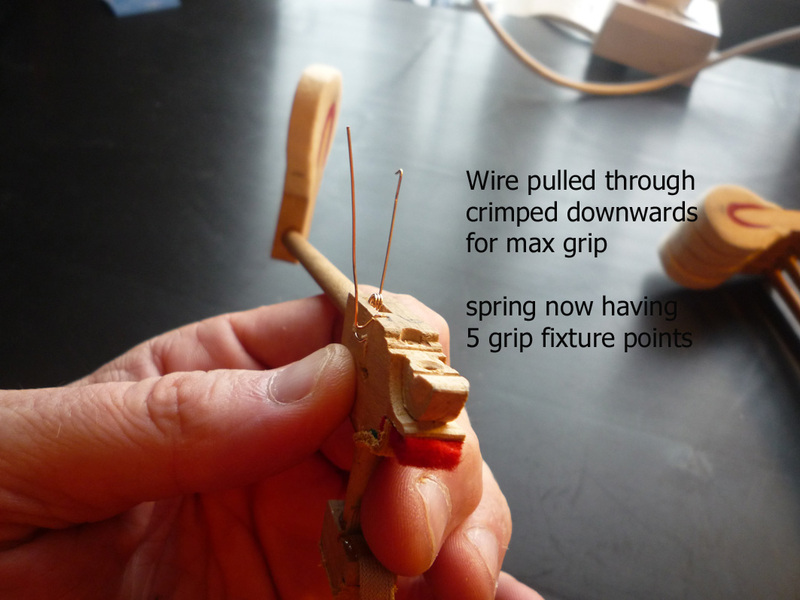 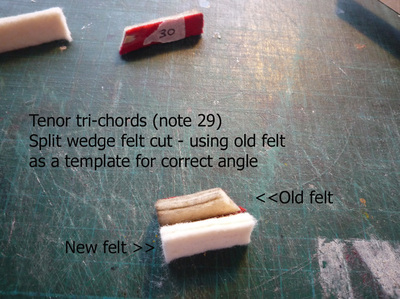 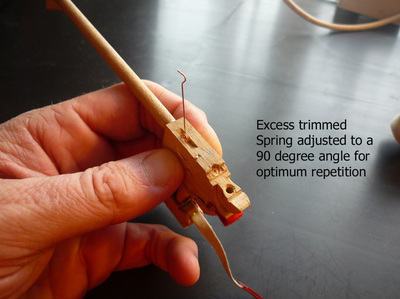 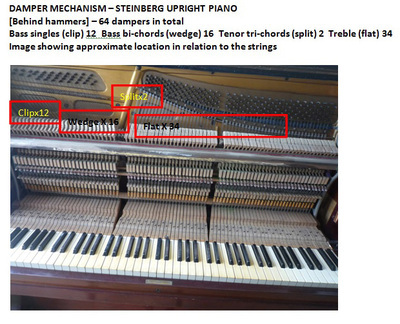 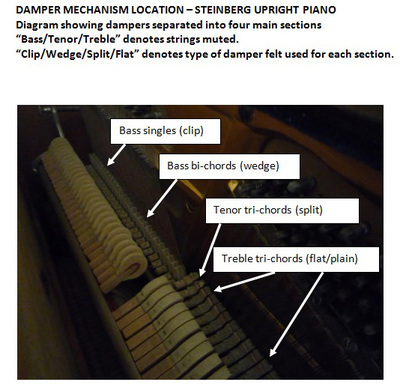 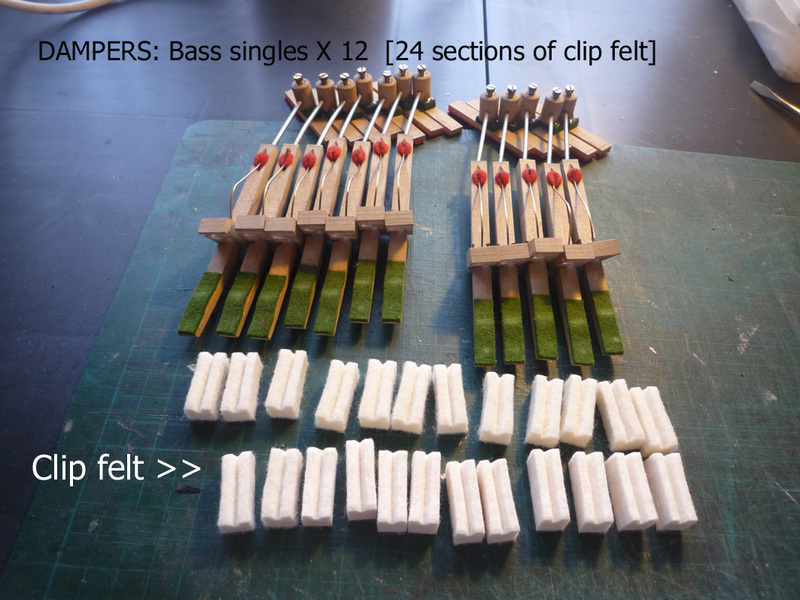 Tuning pins: approx. 80% torque (good)/ tuning stability around 6 months. 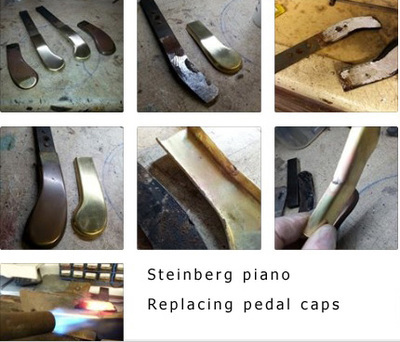 Mechanism & pedals: fully restored and in excellent working order. Please ask to see the workshop schedule notes for more details. 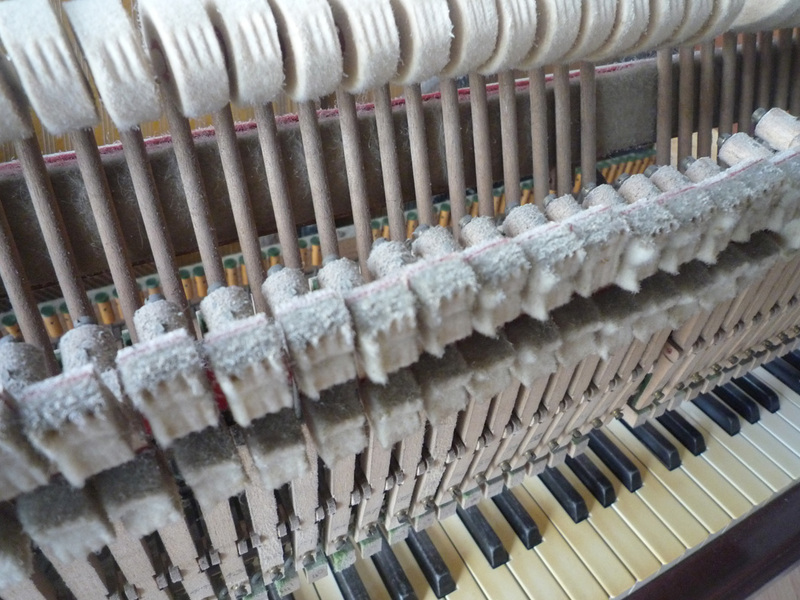 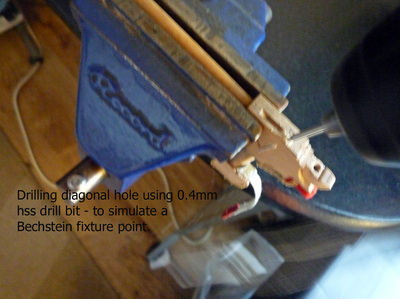 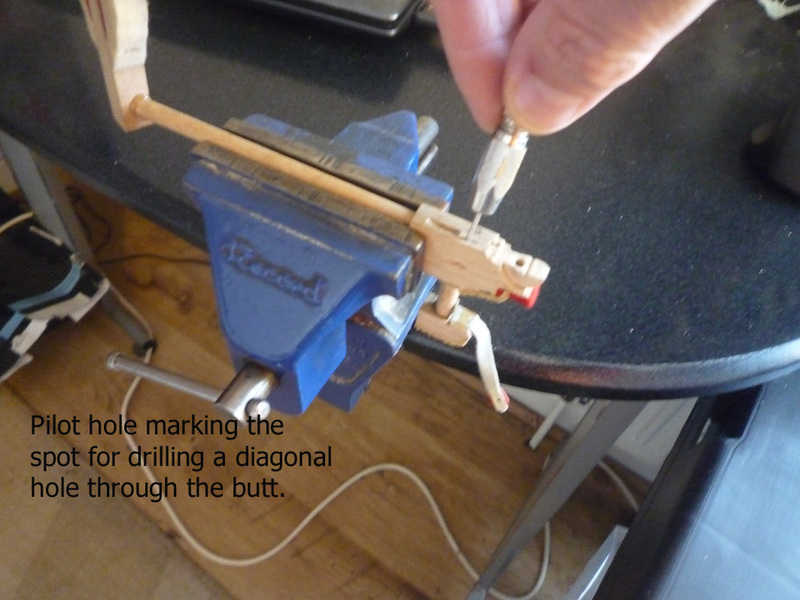 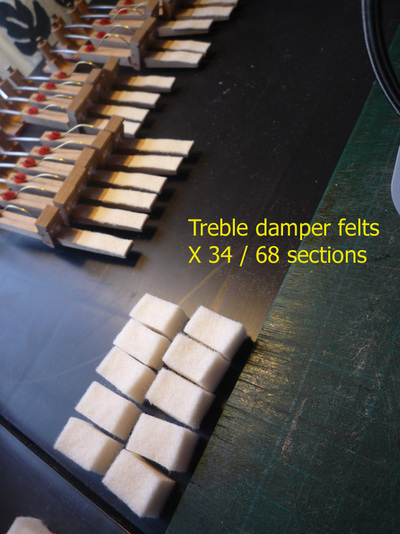 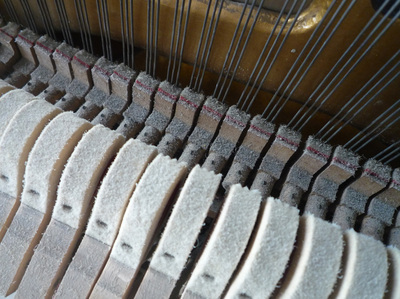 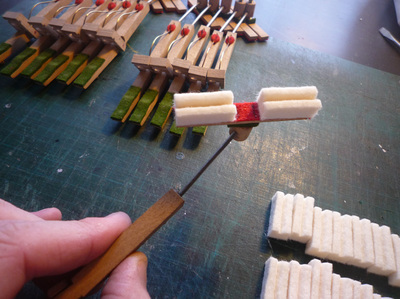 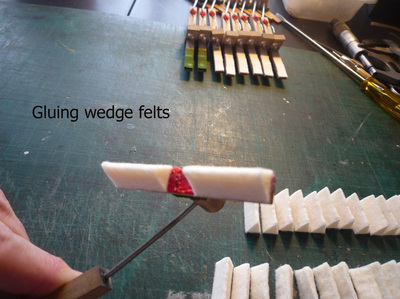 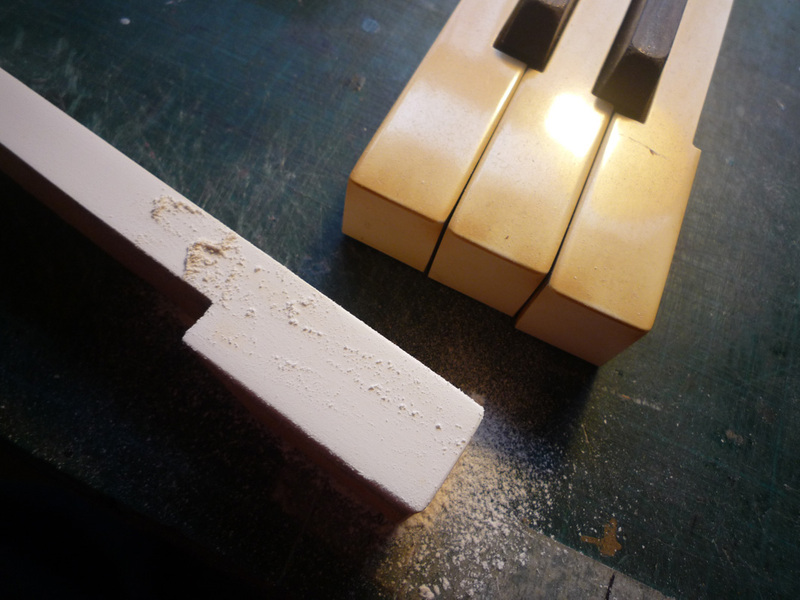 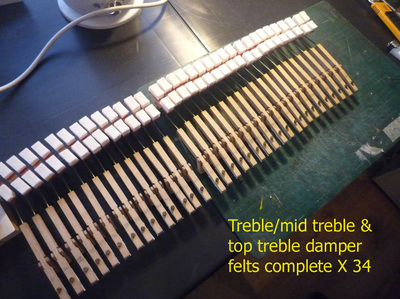 AA Piano Tuners UK takes great pride in our work and in the preservation of pianos. 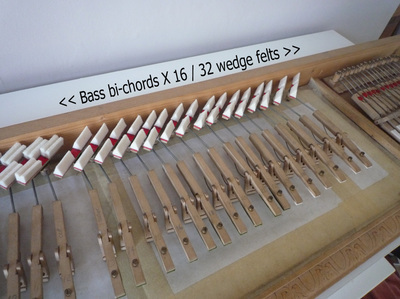 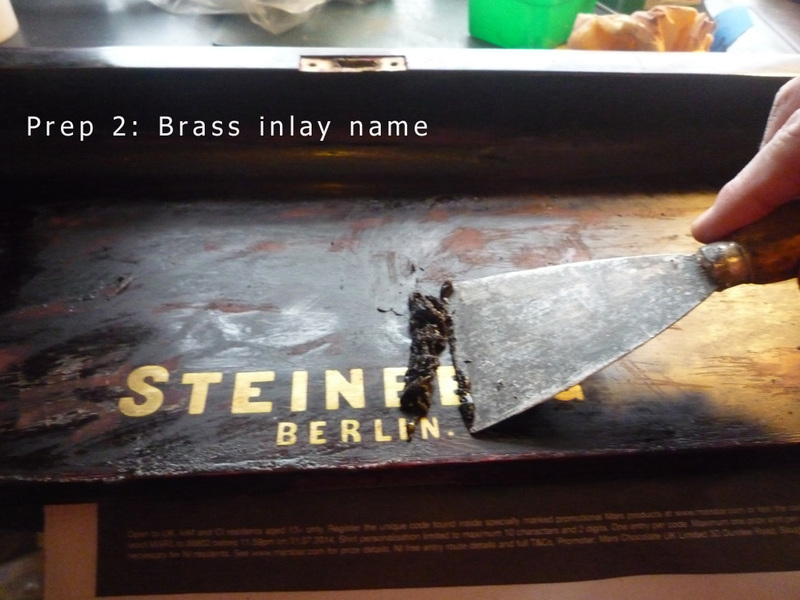 Please note that all cabinet panels and parts have been refurbished to a high standard where stated, and some cabinet areas may reveal tiny 'inherent' marks due to age and patina - this is normal, and reflects in the price of the instrument. 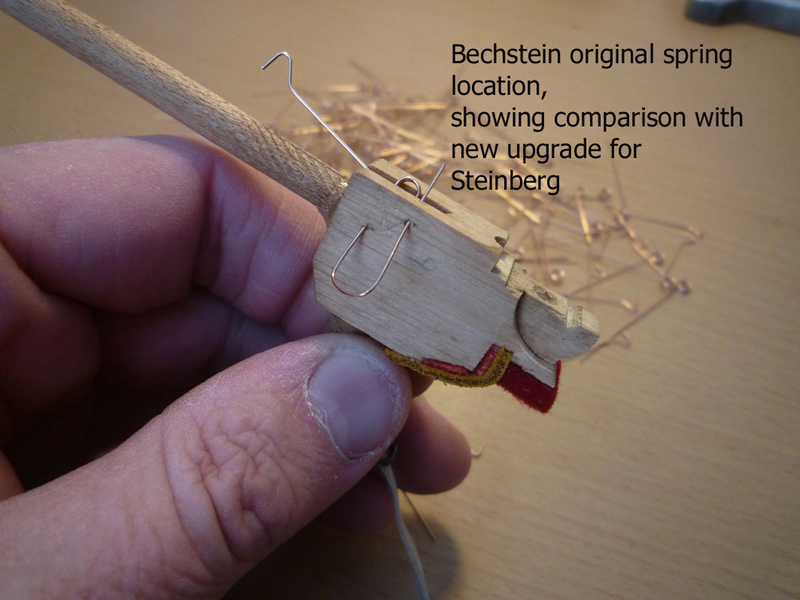 Following any inspection, we are welcome to upgrade or "fully restore" any other parts at the appropriate cost. 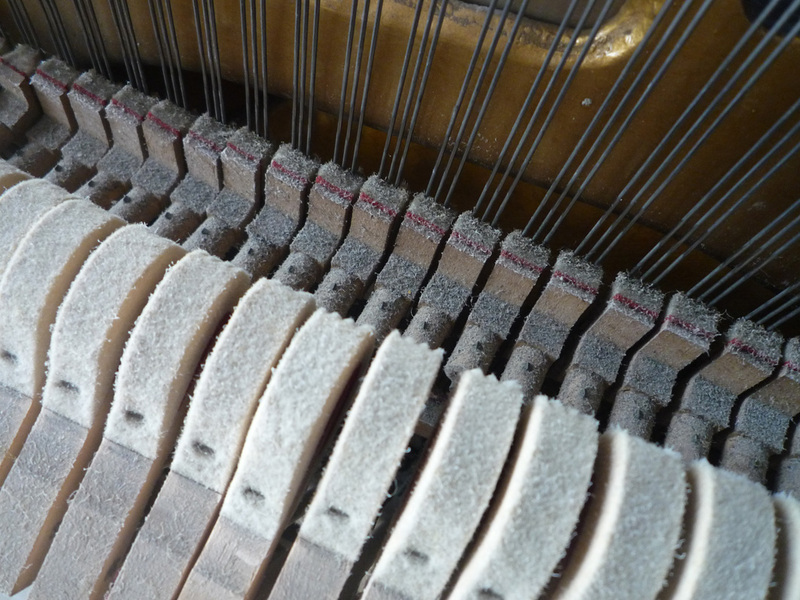 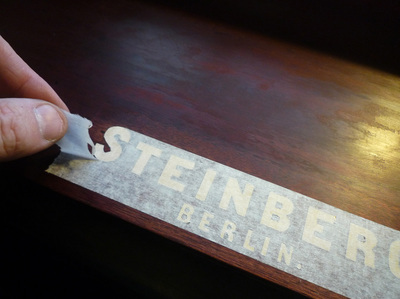 To avoid any disappointment, we always recommend that you view and inspect a piano prior to purchase; we also welcome any 3rd party piano tuner/ restorer to inspect the piano on your behalf. 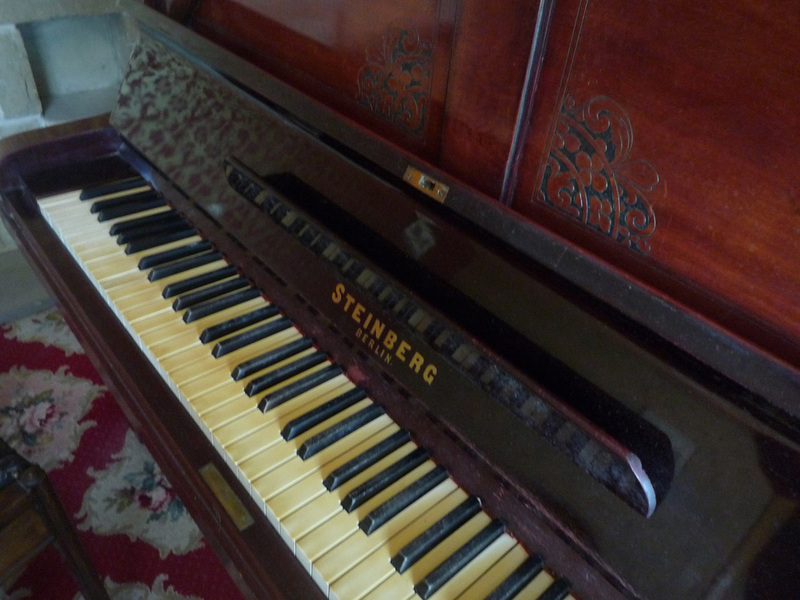 We will openly discuss in detail what has been restored, refurbished and repaired, and any parts not restored - showing their original condition.